President M. Lee Pelton said the resolution represented both an ethical stance and a practical plan. The college’s faculty voted to declare Emerson a sanctuary campus for undocumented immigrants in last week’s faculty assembly. The proposal, which passed with overwhelming support, pledged that Emerson will not willingly provide access to U.S. Immigration and Customs Enforcement (ICE) agents if Trump’s administration targets students, faculty, or staff because of their immigration status, although this has not been officially adopted by the college. President M. Lee Pelton also signed a statement last Wednesday supporting and encouraging the expansion of a key policy from the Obama administration to protect undocumented immigrants who came to the country as minors. In March, Pelton signed another document backing different immigration reforms spearheaded by President Obama. Emerson is not the first to make a statement like this. Colleges around the country, from Wesleyan University to Trump’s alma mater The University of Pennsylvania, have made similar declarations in the weeks following Donald Trump’s victory over Hillary Clinton. 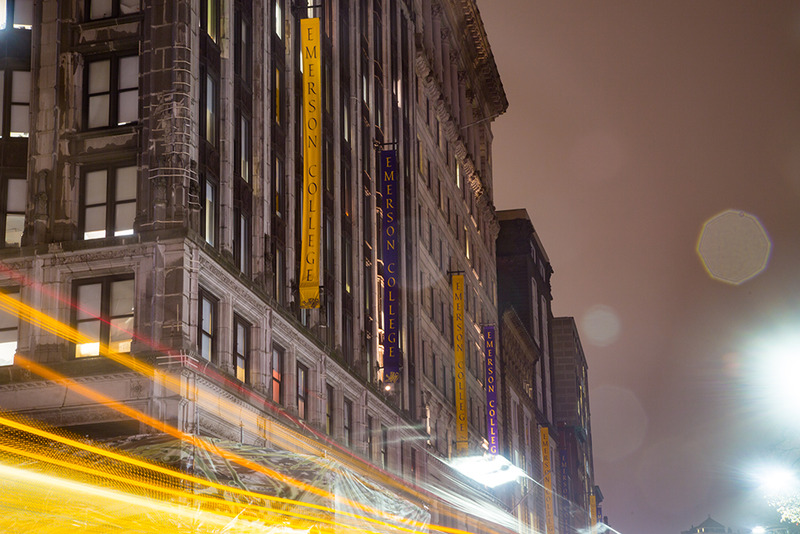 Following this national movement, multiple faculty members at Emerson independently decided to push for Emerson to join the movement, Vice President for Diversity and Inclusion Sylvia Spears said. One of these advocates was John Gianvito, a visual and media arts professor. When Clinton lost the general election, Gianvito said he immediately had an urge to do something to combat some of Trump’s campaign rhetoric. “We teach our children to stand up to bullies at school, so why should that stop at college?” Gianvito said. After hearing from colleagues at Brown University, Harvard University, and others about the sanctuary campus movement, Gianvito said, he drafted a proposal. He submitted it to Chair of the Faculty Council Robert Colby, who received similar propositions from other members of the Emerson community. The multiple drafts were condensed into one cohesive document that Colby presented to the assembly, Gianvito said. Colby said the proposal passed with 80 votes in favor, nine against, and three abstaining. He said there were limits to what the college could actually do—it does not have the legal authority to prevent U.S. Immigration and Customs Enforcement from entering college buildings. This motion represents an ethical stance as well as a practical plan, since Emerson does have some undocumented students, Pelton said in an interview. The proposal also calls for a denial of access to student, staff, and faculty data to ICE, relevant training for members of the Emerson community, and a plan to provide legal counseling to students and their families. At the heart of this issue lies Deferred Action for Childhood Arrivals (DACA), a policy created by the Obama administration that allows undocumented immigrants who entered the country as minors to have a renewable two-year period of deferment from deportation. DACA also allows these individuals to gain a work permit. The statement signed by Pelton in support of DACA was initially created by Pomona College in California, and has been signed by more than 150 colleges and university presidents so far, according to a news article from Emerson’s website. President-elect Trump has vowed to scrap DACA, according to Al Jazeera, and has talked extensively both during and after his campaign about deporting undocumented immigrants. Within his plan for his first 100 days in office, Trump promised to deport more than 2 million undocumented immigrants. Correction: A previous version of this article had the headline, "Emerson declared sanctuary campus."